The founders and teams of any startup are most likely to have more things to do than they can manage in a day. There is always likely to be more activity, primarily because in a startup, things are constantly evolving and changing, than there are people to execute those activities. In such a scenario, time management becomes a critical skill that entrepreneurs have to learn and implement in their day-to-day life. But fret not! All it needs is a little organising and prioritising and some serious time management. I came across this article written by to Alex Cavoulacos, “One founder’s best productivity trick: Save time and do less”. 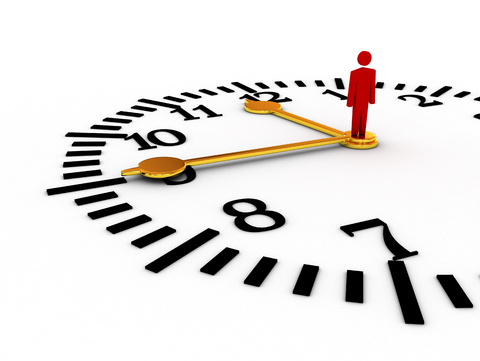 Time management is not just about managing your time effectively. There is a whole lot more that goes into making your day work for you. Prioritise your tasks: Often EVERYTHING seems important. But make it a habit to prioritise tasks into three buckets based on their criticality – high, medium, low. This will help you get a clearer picture as to what to focus on first. It’s also important to set a timeline for completing each target so you don’t go off track. Being disciplined can make all the difference: Once you have worked out your calendar for the month/week/day, it is important to be disciplined and focus on following through on the tasks with full sincerity. Set expectations for yourself and those working with you: The saying, “Bite as much as you can chew” holds true in this case. While it is great to be all gung-ho about your plans, it is equally important to be practical because you have only 24 hours within which you also have to live a life. And that goes for you as well as for those working with you. Do not limit yourself, but be aware of the limitations, especially when it comes to assigning a do-able time frame to a task. Learn to say NO: Saying ‘Yes’ to everything that comes your way can be detrimental to the whole structure of your future plans. You have limited time at hand and should take on only those things that can help you inch closer to your goal. You are under no obligation to keep pleasing others. If at all you have to say ‘Yes’, it should be a well thought of decision rather than an impulsive one. So learn to say NO tactfully and you’ll suddenly feel that you have all the time you need in the world. Use reminders and online and mobile tools: Be self-reliant and let your phone/ laptop do the needful with the built in calendar or reminder. Delegate to others: so you can save time focus on more important things at work. With a little discipline you can be the one in charge! WeWork is our co-working company. See their locations here.